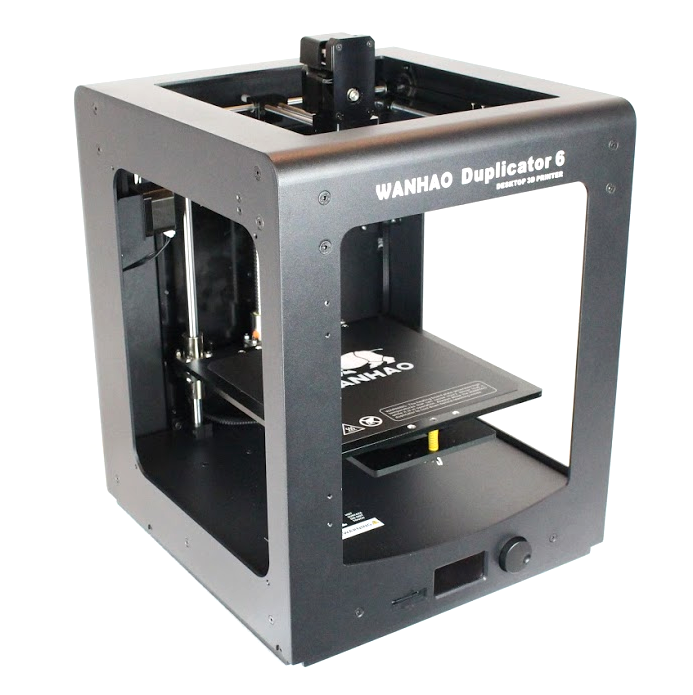 Rapid prototyping for the next generation of commercial 3D printers... The all-new Duplicator 6 was designed to be the perfect companion to your desktop computing setup; sleek, quick, and sophisticated. 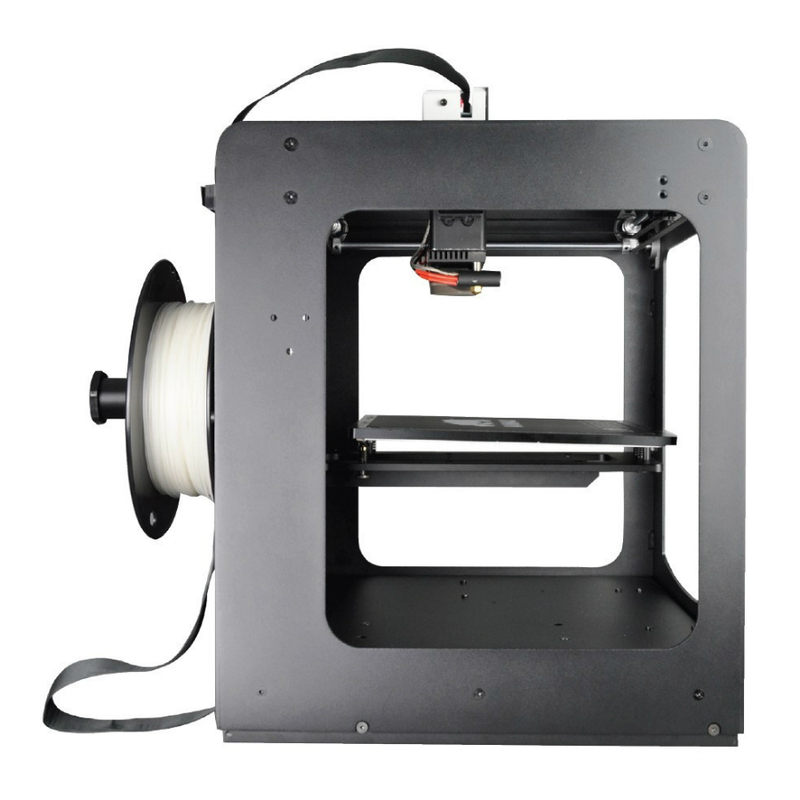 Beyond the good looks are market-leading features including incredible 3D printing speed, open-source software compatibility, and industrial grade extruder components. 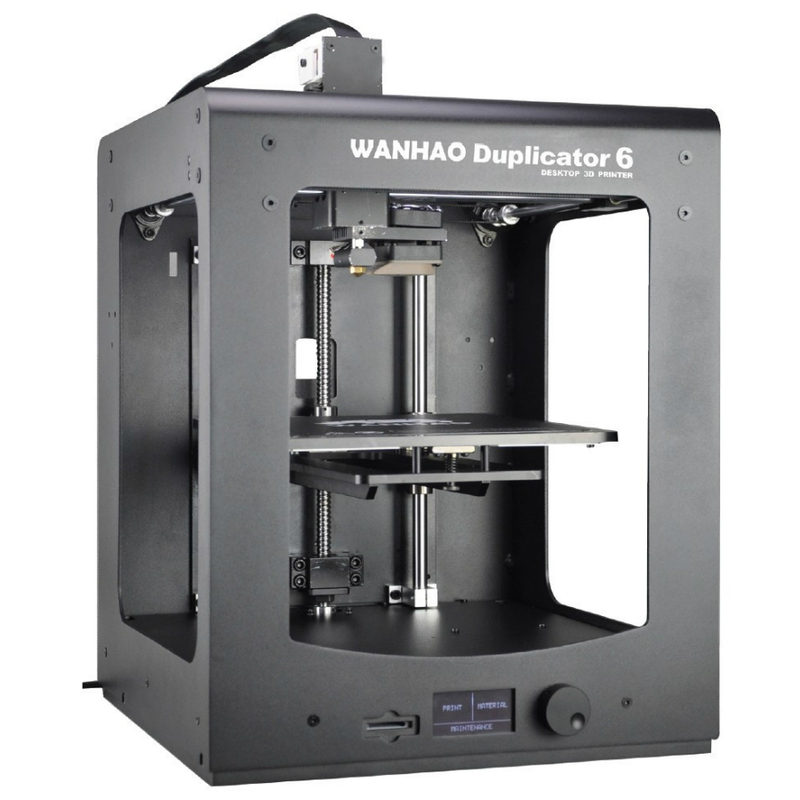 The Duplicator 6 is the latest design from the award-winning team that brought you the #1 best-selling 3D printer last year! Big power with a small footprint... With a frame footprint of just 1.4 square feet the D6 was designed to blend in with the rest of your desktop computer hardware. However, do not let it's size fool you...this mid-level printer packs a ferocious bite! 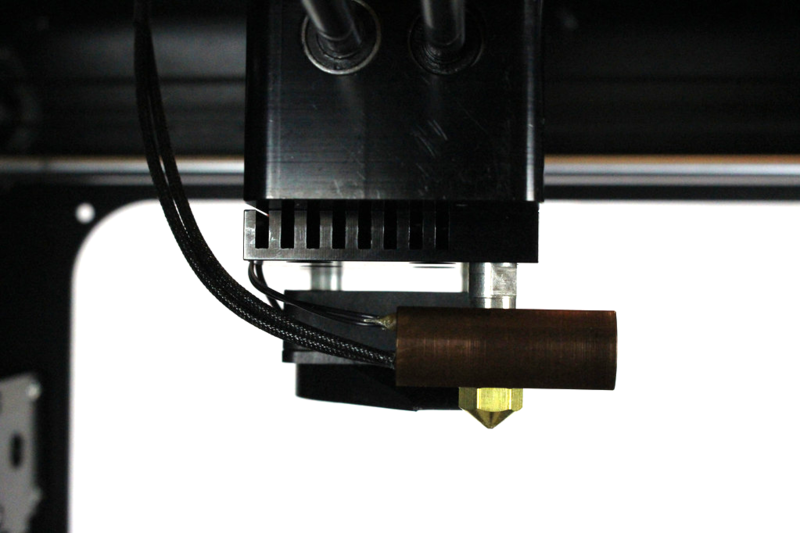 The .4 mm brass nozzle allows for ultra-high layer resolution printing which tested slightly better than 100 microns. The Double-Track Gantry (DTG ™) system guarantees less rocking during X & Y axis movement allowing faster printing with less errors. Also, debuting on the D6 is the all-new MK11 hotend boasting machine-milled components built in-house to control quality and precision. The MK11 hotend is all-metal with the exception of the industrial-grade PTFE insert and allows temps up to 260°C. This model is recommended for Architects, Office Warriors, & Intermediate-level modelers. Filament Capabilities: PLA, ABS, PVA, Stainless Steel, NinjaFlex, Nylon, HIPS, Woodfill, LayBrick, CopperFILL, BronzeFILL, MOLDLAY, Conductive, Carbon Fiber, Polyurethane plus more! Firmware: Includes FREE downloads of the latest firmware. I'm very happy with the this 3d printer.. So far no issue at all. the customer service is great. 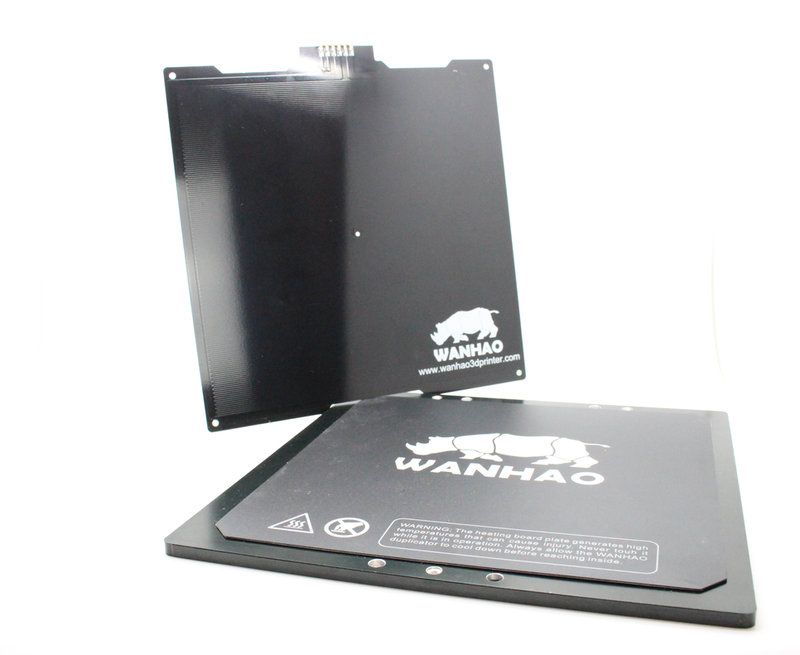 The Wanhao Duplicator 6 is just like the Zortax and also you can add the panels made for the Zortrax on it and someone has told me the Zortrax bed fits also. I'm impressed with it so far and the quality is great. Its simple to setup and I could see this lasting a long time.